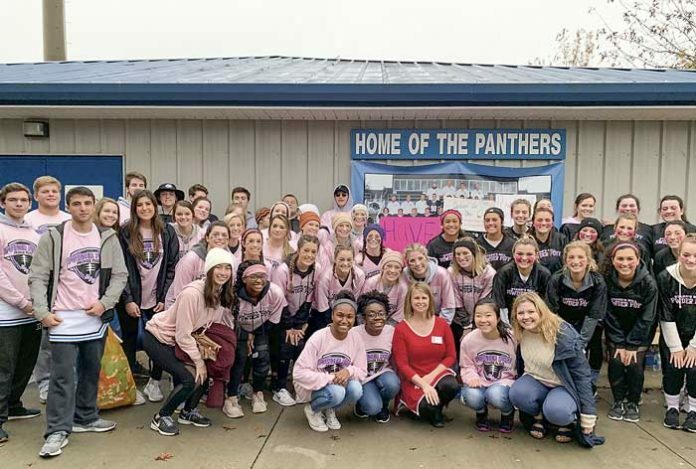 Starr’s Mill High School Senior Class Officers Tori Davis, Bailey Austin, Ore Amosu, and Ashley Fukuyama, along with and their executive board, hosted the inaugural “Powder Puff for Promise Place” game recently. This fundraising event took place at Panther Stadium with the senior girls playing football against the junior girls. This event turned into a school-wide fundraising project, with students participating in a collection drive the week of the event, donating new winter clothing to give to Promise Place. The Senior Class additionally partnered with Peeples Elementary School to help with the collection. 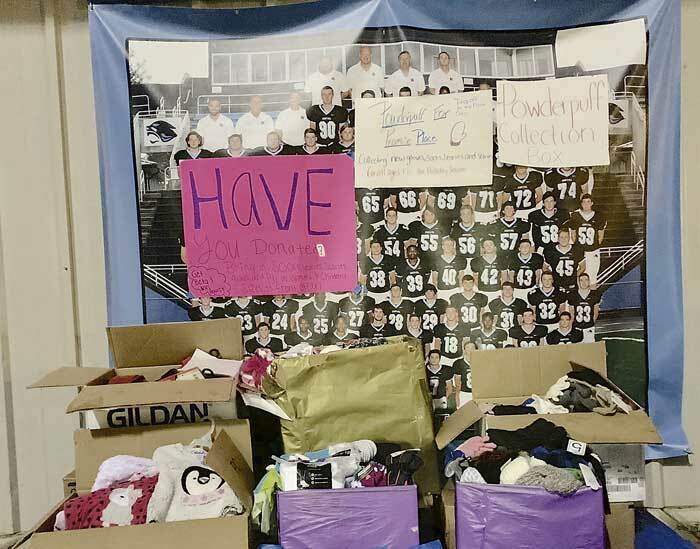 In total, Starr’s Mill raised over 450 items as well as over $2,000 to give to Promise Place. “It was a rewarding experience to have our school have an impact on our community,” Tori Davis, Class President, says. The Senior class officers hope Starr’s Mill will adopt this event as an annual fundraiser to give support to organizations in Fayette County. Promise Place is an organization that helps women and children who are affected by domestic violence by providing victims with needed resources and shelter.